After releasing a teaser image last week, Buick has introduced the next-gen Verano at Auto Shanghai. Looking more refined than the outgoing model, Buick's overhauled Verano comes with the corporate waterfall grille and Avenir-like wing-shaped HID xenon headlights featuring LED daytime running lights while the LED wing shape has been carried over to the taillights as well. It sits on 17-inch ten-spoke alloy wheels and has received a double-sweep beltline as seen on other Buick products. The GM-owned marque mentions the 2016 Verano (CN-spec) benefits from a revised chassis tailored to Chinese roads and will ride on Continental MC5 225/45 R17 low-rolling resistance tires. Underneath the hood resides a four-cylinder 1.5-liter SIDI turbocharged gasoline engine developing 169 PS (124 kW) at 5,600 rpm and 250 Nm (184 lb-ft) in the 1,700 – 4,400 rpm range. Featuring a 0.27 drag coefficient and standard stop/start system, the 2016 Verano has a fuel consumption of 6.1 liters / 100 km (38.5 mpg US or 46.3 mpg UK) which they say it's the new benchmark in this segment. 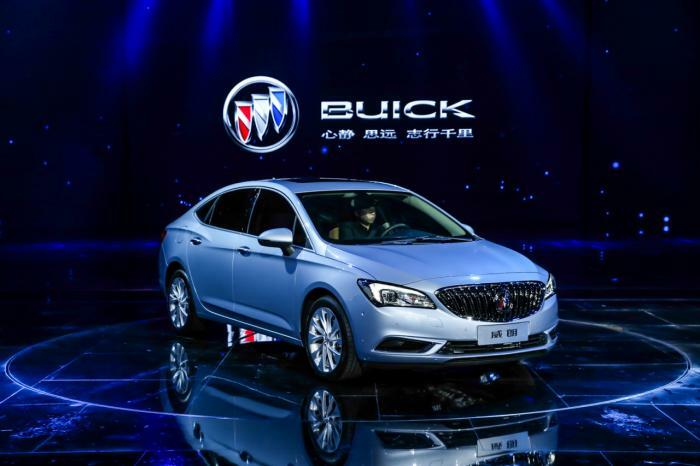 Targeting "individuals who value a personal and dynamic driving experience", the 2016 Buick Verano is scheduled to go on sale in China in the second half of the year.